Do you dream of sloths? 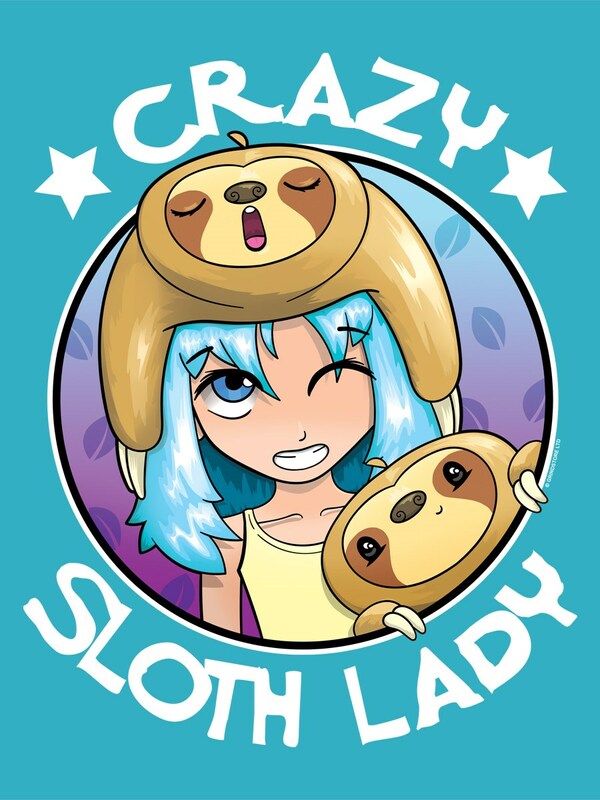 Then there's a high chance you're a crazy sloth lady! 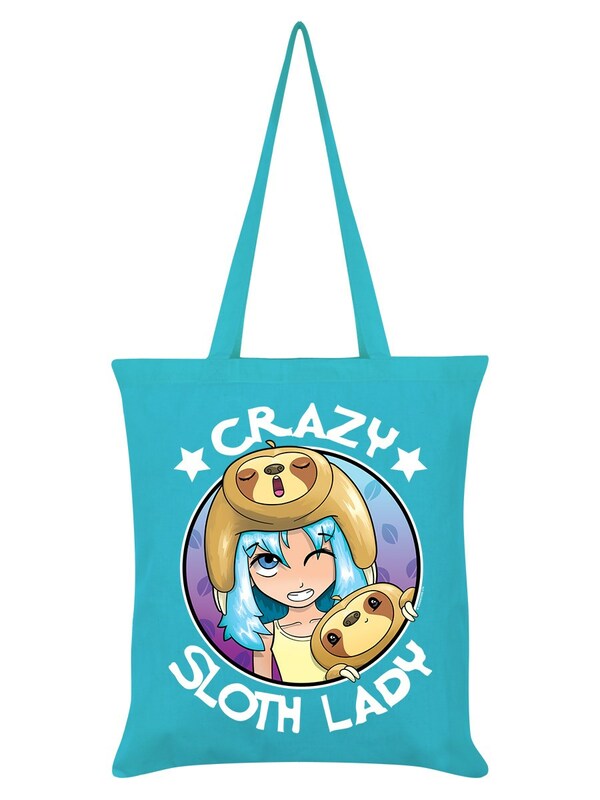 Show off your love for all things sloth-y with this kawaii inspired tote bag. 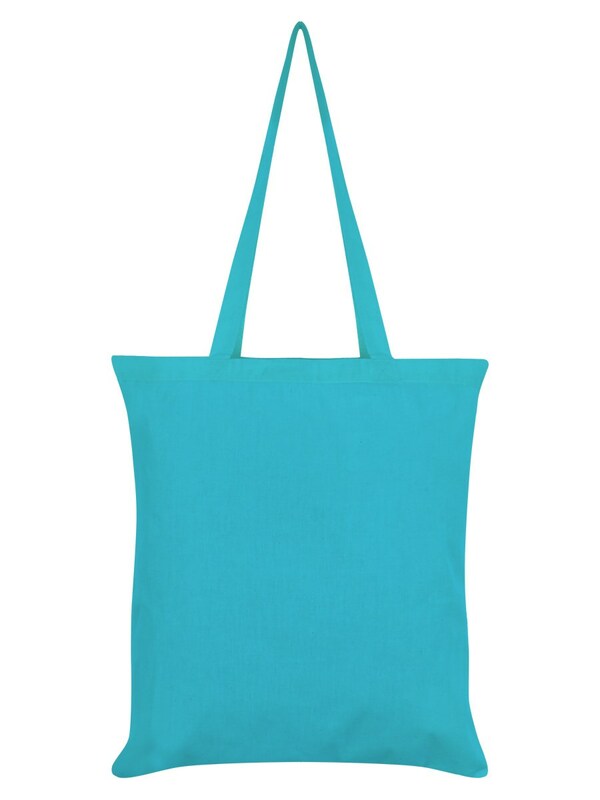 Featuring a blue-haired anime girl with one sleepy sloth on her head, and the other peeking into the frame, this quirky blue tote is sure to show the world just how much you love those sweet-but-slow critters.